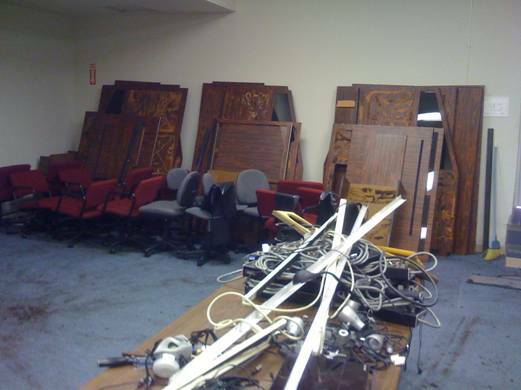 The old booths in Simul Lab 1 are packed up and ready to move. After this picture was taken, the carpet was removed in preparation for installing electrical outlets in the floor. Over the course of the summer, the old Simul 1 will become the new MML, while the old MML will house a revitalized Simul 1 Lab with new equipment and refurbished booths. Thanks to Dean Bao, John Grunder, Jonathan Covell and their staffs for collaborating on this project.